My first layout shared at TwoPeas, in July 2009. The announced closure of Two Peas in a Bucket has left me feeling bereft. I'm not sure I realised just how much a part of my weekly, daily, routine it was. Watching Glitter Girl videos on my iPad on the train on the way to work. Browsing through the forums during quiet moments each weekday afternoon. Curling up in an armchair Saturday morning with a cup of coffee and watching the remaining new videos. 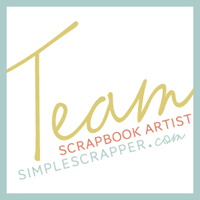 For years TwoPeas has been my centre of scrapbooking on the internet. Here is where I've learnt about design, techniques and products. Here is where I've shopped for the latest and greatest, discovered new brands, bought more than I'll ever reasonably use. Here is where I've chatted about December Daily, Week in the Life and being 'caught up'. Here is where I've found inspiration, incredible layouts and sharing our love of this hobby. Early layouts shared on TwoPeas. TwoPeas, you will be missed. Shortest Lunch stop 1: Yileena Park winery where we started the day with wine tastings and a burger. Shortest Lunch stop 2: Steels Creek Estate where we had the most amazing potato and goats cheese gnocchi. Some shiraz braised beef short ribs too, but I'm still thinking about that gnocchi! Stop 3: Neds Gully camp site in Cathedral Ranges State Park. BoyF and I had the entire camp site to ourselves - very peaceful. After setting up camp and having a quick cup of tea, we set off on a walk. BoyF was greatly amused when I made a comment about having been walking for quite a while; we were only six minutes in! Next morning we set off for a serious hike - hours and hours of walking. Although this isn't how I'd generally choose to spend my weekend (although BoyF's a weirdo he actually enjoys hiking!) I've signed up to hike the Inca Trail in November and some training is called for. Yep, I need to train for my honeymoon. We walked up and up Neds Gully Track to Neds Saddle, then along a rocky scramble of a track towards Little Cathedral Peak. There were some great views but none when we stopped for lunch, we were above the clouds. Then it was time to head back. Along the rocky scramble of a track. Down and down and down. Back to the campsite for a quick pack up and home. A much needed shower, then back out to BoyF's parents house for dinner. It was a big weekend. Exhausting, but good. Our wedding is in 4 months, to the day. I'm not really sure what to write next; I'm don't really know how I feel. Nervous, excited, stressed, overwhelmed, eager. Probably all of those, depending on which moment you ask. Wedding stress seemed to peak a few weeks ago, over table runners of all things. I saw a fabric I really liked, the price a little higher than I wanted to spend, but the store didin't have sufficient quantity. The Australian distrubutor didn't have any left and the international supplier wouldn't even have any more until September. I was ridiculously disappointed and everything else Mum and I looked at seemed lesser. Although we don't have table runners yet, I decided the issue was going to wait for a month and suddenly I was feeling relaxed about the wedding. (The venue is quite stark and there are no tablecloths, so table runners are something I do want to have.) It's funny how no decision can sometimes be the right decision. Although, being wedding relaxed makes me wonder what I'm forgetting! My finger has been bare this week, my engagement ring with a jeweller who is making us wedding rings. Mike has selected titanium, with a little detailing from the book of designs. Apart from a watch, he doesn't wear jewellery and it was odd seeing him trying rings on. I had an idea in mind for my ring which the jeweller has adapted it a little and I'm not sure, I can't picture it. The jeweller said he couldn't picture it either, so I'm keen to see on Friday what he's come up with. Sterling silver models at this stage, so amendments can be made. I received an email from the venue that the Head Chef was finalising the food concepts to be shown to us, and that they were working up a timeline of meetings and tastings in the lead up to the wedding. We have food concepts! That makes me feel very swish. Then I think meeting and schedules and wonder exactly how complicated can it be? A three photo sketch template from Simple Scrapper's July Membership collection was the inspiration for this 11x8.5in layout. I was so focused on the three pieces I wanted to include - front and back of our wedding Save the Date card and the envelope - when I finished I was surprised to 'realise' it was a no photo layout. A simple layout, but with some nice dimension. I'm quite pleased with it actually. The other weekend I got to meet this little cutie, the first child of good friends of mine. Actually, they're the first of my friends to have a child. It kind of feels like a new chapter has begun. It was wonderful to see them doting and so much in love. Exhausted, but doting. Today Mike is back with the latest installment in a series, sharing thoughts and photos of trip to Everest Base Camp. You can find his previous posts here. After a good night's sleep with a belly full of pizza, we started our climb towards Dingboche. This mountain has a name, but we just called it Monkey Face. A reoccurring sight for three days, we admired Monkey Face's impossible snow slope, often wondering how his nose stayed intact. As we worked our way up the valley, we realised we were now above the tree line. I was glad that we had another acclimatisation day ahead of us to get used to the altitude. This is Dingboche, where wild yaks wander the streets. Our home for the next two nights. Altitude: 4410 metres / 14,468 feet. The next day we went for an acclimatisation walk, up the side of the valley wall. It was very photogenic. Looking through the camera lens to take this photo, I realised we were above the clouds. Pretty awesome! With the pages of my December Daily complete, it was time to add some detail to the cover. The album I used was the Handbook from Studio Calico's December Daily kit, which came embossed with stars. I watered down a variety of spray mists and roughly painted in some of the stars for a watercolour effect. I added a ribbon along the edge of the binding, slipped a Basic Grey postage stamp into the label on the spine and finished with small glitter stickers to indicate the year. My December Daily is fat and full and interesting. And done. This is the third guest post by Mike, sharing details of his trek to Everest Base Camp. You can find his previous posts here and here. It was an easy morning stroll to Kyangjuma where we stopped for lunch and enjoyed the view. Heading off, we crossed a bridge and started the steep, dusty climb towards Tengboche. Our guide Maski promised me the best pizzas on the trek for dinner at the top of the hill. We arrived in Tengboche mid afternoon which gave us time to visit the local monastry. Some group members decided to stay to observe the evening prayers, not realising how long they lasted. The most hardy excused themselves over an hour and a half in! View of our guest house (white building) from the monastry. We had our promised pizzas for dinner and yes, they were good. As we chatting over hot chocolates Omar, our second guide, pointed out a photo album in the corner of the room. Just sitting there, for anyone to look at, was Tenzing Norgay's personal scrapbook. Complete with Christmas cards from the Hillarys and documentation from that famous first summit of Everest, it was understated but very special. Turns out, the lodge is owned by one of Tenzing's daughters. Overnight altitude: 3860 metres / 12660 feet. This pair is horribly uncomfortable, crimping my toes and I can't wait to get them off between each climb. Just like a good pair of climbing shoes should. At least that's what they tell me. With my December Daily finally complete, I'm into the next project. Or more accurately it's back to the project previous. Week in the Life, from September 2013. Photos are printed, embellishment will be minimal; this project shouldn't take me long to complete. I hope.